Unlike previous repainting work on museum aircraft, scaffolding work platforms will be installed around the Shackleton. This will allow the de-corroding, rubbing down and repainting to be carried out is a safe and efficient manner. The current plan is to install scaffolding around half of the Shackleton and to focus the work effort on this section of the aircraft. Once the work has been completed the scaffolding will be repositioned on the other side of the aircraft, where the balance of the work will be completed. Avro Shackleton WR977 was moved from RAF Finningley in spring 1977, just prior to Her Majesty the Queen’s Silver Jubilee Review of the Royal Air Force. 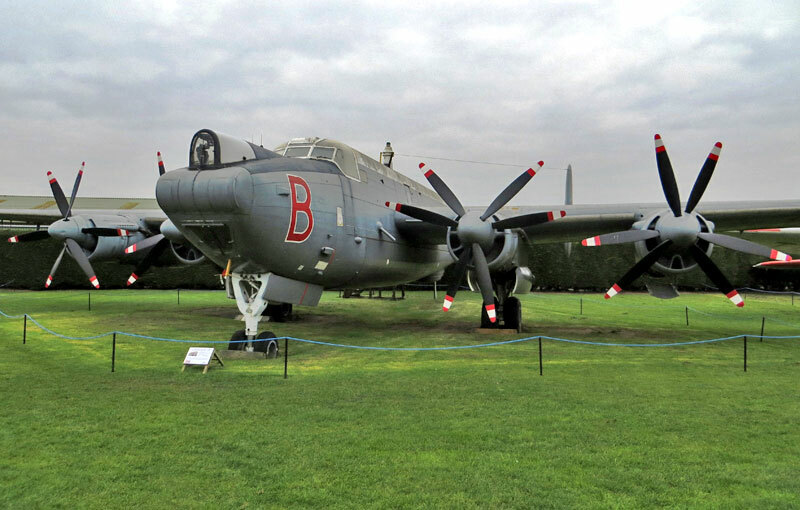 WR977 is believed to be the longest serving Shackleton Mk3 Phase 3 airframe to have flown with the RAF. The role of No. 617 Squadron, Royal Air Force, better known as the ‘Dam Busters’ will be the focus of a lecture taking place at the University of Wolverhampton next month. The lecture entitled ‘Planned Development or Haphazard Evolution? No. 617 Squadron, 1943-45′ will be presented by Dr Robert Owen, the Official Historian of the No. 617 Squadron Association. The lecture is a continuation of the joint partnership between the University’s Department of War Studies and the Royal Air Force Museum and takes place on Thursday 10 March 2016. In this lecture, Dr Robert Owen will discuss the backstory to the units operations during the Second World War and the decision to keep them in existence as a precision-bombing unit. For the remainder of the Second World War, they carried out precision attacks using new and unconventional weapons, culminating with Barnes Wallis’s deep penetration bombs, ‘Tallboy’ and ‘Grand Slam’. Many of the Squadron’s eventual operations emerged as the result of an inability to execute initial planning due to unrealistic expectations of weapon performance, delays in the development of a new weapons and political intervention. The Squadron played a major role in the assessment of weapons, equipment and new techniques and were often given alternative targets, taking advantage of their capabilities and to address specific issues. During its comparatively short period of active service No. 617 won 2 Victoria Crosses and more than 150 other decorations. The numerous accounts written detailing the Squadron’s history fail to take into account many of the factors that determined its role and concentrate on the operational record and the weapons used. The result is a distorted and incomplete perception of the Squadron’s development and a misconception of its full contribution to the bomber offensive. This lecture will identify the various policy and decision making bodies and examine their role in selecting weapons and targets for the Squadron. It will explore the issues which determined the role played by the Squadron, including changes in Air Staff policy for Bomber Command, choice of targets, the development and production of weapons and tactical requirements. Comparison is made between the planners’ original intentions for the Squadron and the final operational record. The Trenchard Lectures in Air Power Studies form part of the RAF Museum’s Research Programme for 2016. ‘Planned Development or Haphazard Evolution? No.617 Squadron, 1943-45′, is the first of three joint lectures taking place at the University of Wolverhampton this year. This FREE lecture will be held in the main lecture theatre (MC001) at the University of Wolverhampton at 6.30pm on Thursday 10 March. As spaces are limited, organisers advise visitors to book their tickets in advance via the museum’s website to avoid disappointment. For further information about the museums research programme or to book your FREE ticket to the lecture, please visit the museum website www.rafmuseum.org/cosford. One of the jewels in the crown of US military aviation will make a welcome return to the Royal International Air Tattoo in July to demonstrate some of the unique capabilities of the world’s firstoperational fifth generation fighter. The display by the US Air Force’s Lockheed Martin F-22A ‘Raptor’will be among the highlights of the airshow, which takes place at RAF Fairford on July 8-10. It was at the Air Tattoo six years ago that the Raptor last showed off its impressiveagilityin the UK made possible by the stealthy F-22’s thrust-vectoring engines. RIAT 2016 will witness another display of this thunderous machine’s might, in the hands of Maj Daniel ‘FFits’ Dickinson. He comes from the F-22 Demo Team, provided by the 1st Fighter Wing at Joint Base Langley-Eustis in Virginia. In 1991, the F-22 was declared the winner of the US Air Force’s Advanced Tactical Fighter contest to find the next generation of air superiority fighters with the first production-standard example taking to the air six years later. It entered service in December 2005. 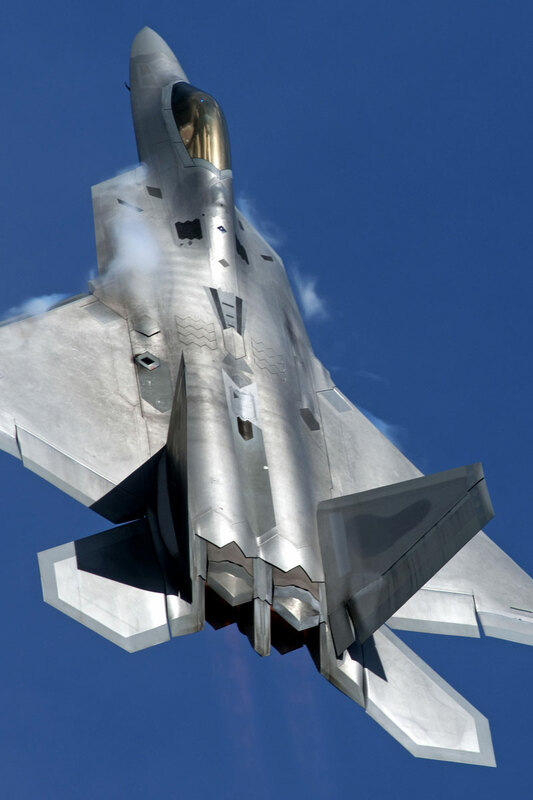 A combination of stealthy characteristics, helping keep the F-22 invisible to hostile radars, and a vastly advanced sensor suite are intended to ensure that the aircraft can counter any air-to-air threats without being detected. Not only is it a formidable air-to-air platform, but also a very effective air-to-ground asset with precision-guided weapons, as shown during the F-22’s combat debut over Syria in September 2014. Air Tattoo Chief Executive Andy Armstrong said airshow visitors should prepare themselves for a display routine that showcases powerful, precision aerial manoeuvres and the professional qualities of the people who fly, maintain and support these aircraft. The Royal Air Force are once again showing a display of force at the RAF Cosford Air Show on Sunday 19th June 2016. The ever-popular RAF Aerobatic Team, fondly referred to as the Red Arrows, will be headlining the flying display with their world-famous display of graceful formations and thrilling manoeuvres. Other star performers returning to the show include the Eurofighter Typhoon, RAF Falcons Parachute Display Team and the Battle of Britain Memorial Flight. These additions to the flying displays are just the first of many aircraft which will form the exhilarating six-hour flying display at the show. On the ground, visitors will be able to explore an interesting variety of static aircraft, including Griffin & Squirrel helicopters. The aircraft which are flown from nearby RAF Shawbury are both used for flying training, which is a key theme for this year’s event. Tickets for the RAF Cosford Air Show 2016 are selling fast, with sales ahead of this time last year. Organisers are urging members of the public to buy their tickets soon to avoid disappointment as tickets are, for the second year running, Advance Sale Only. The Royal Air Force Aerobatic Team, the Red Arrows will be back flying above Eastbourne’s skies this summer following the announcement of their 2016 flying programme! Their appearance at Airbourne, Eastbourne’s international airshow, voted as the UK’s best free airshow in the 2015 Airscene Awards, will see them joined by Royal Air Force displays from the Eurofighter Typhoon, Battle of Britain Memorial Flight and the King Air, all of which promise to provide show-stopping displays in Eastbourne, when Airbourne returns from 11-14 August 2016. Excitement for this year’s Airbourne mounts after this initial release of RAF displays, which confirms that the Red Arrows will fly on Friday 12 and Saturday 13 August. Airbourne organisers eagerly await the news of more aircraft which will display at the airshow, including helicopters, further military aircraft, civilian and commercial display teams. 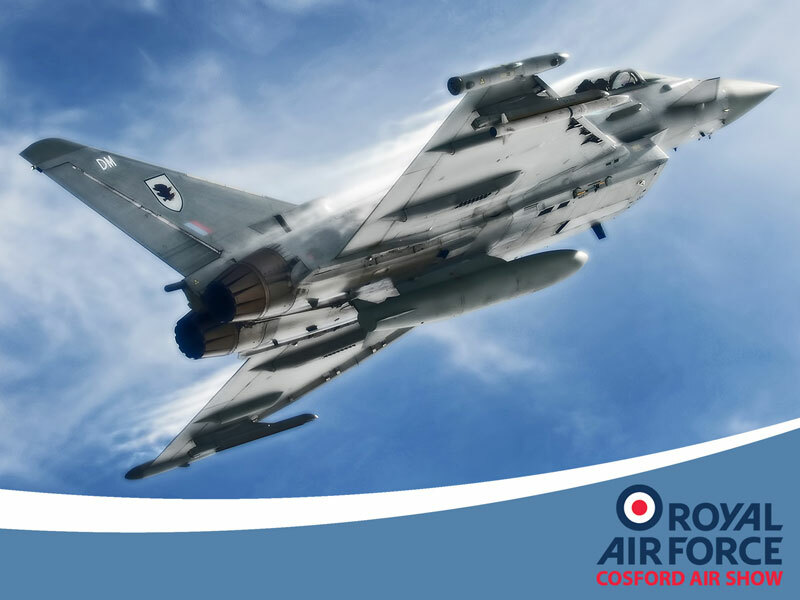 This year’s flying programme will see the roaring RAF Typhoon soaring above Eastbourne’s beach as it takes the skies on three days of Airbourne; Friday, Saturday and Sunday, when the 29 squadron showcases the aircraft’s incredible speed and performance ability. Airshow visitors will also have the chance to see the Battle of Britain Memorial Flight on all four days, in a year which marks the 80th anniversary of the Spitfire and the 75th year of the Lancaster Bomber. The King Air a multi-engine pilot trainer which is part of No. 3 Flying Training School based at RAF Cranwell, will fly on Saturday and Sunday. Airbourne is awaiting news from VisitEngland to hear whether it has achieved Gold, Silver, Bronze or Highly Commended status in the VisitEngland Awards for Excellence, after it was announced as a winner in the ‘Tourism Event of the Year’ category by the national tourism board last month; the results will be announced at an awards ceremony in Blackpool on 8 March during English Tourism Week. The news came less than two months after Airbourne was awarded Gold in the category of ‘Tourism Event of the Year’ at the Beautiful South Awards, organised by Tourism South East. To treat friends or family to a special occasion or entertain business clients, the Aviator Club hospitality packages are available at Eastbourne’s Western Lawns providing visitors with high-end catering and a chance to mingle with the pilots, as well as uninterrupted views of the display line. Exclusive air show seating at Eastbourne’s iconic Bandstand is also available to book now. 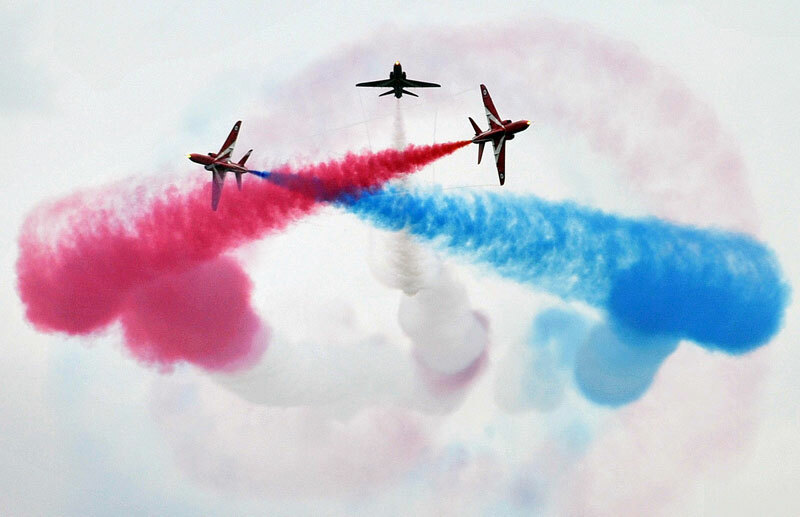 To book hospitality packages and exclusive seating and to find out about trade space, advertising and sponsorship opportunities at Airbourne, and keep up to date with flying display news, go to www.eastbourneairshow.com. The end is sadly in sight for another iconic military aircraft; the last ever flight of the Royal Navy HC4 Sea King, with only 7 now left in active service at Yeovilton, the only UK RN based that is still operating any HC4 Sea Kings. The weather was predicted wet and wild, but thankfully the day turned out to be a bright dry day. We were all gathered in the squadron briefing room, to hear the CO give his thoughts on the Sea King, and being rather reserved when talking about the Sea King which we all have seen both at air shows and more commonly on search and rescue sorties around the UK. The most amusing tale was from an exercise in Norway when a white out occurred and each aircraft was following the one in front, with a loss of visual contact the pilot kept going on the instruments only to catch up with the aircraft in front and being so close the other aircrew looked for wheel marks on the hub above the rotors. 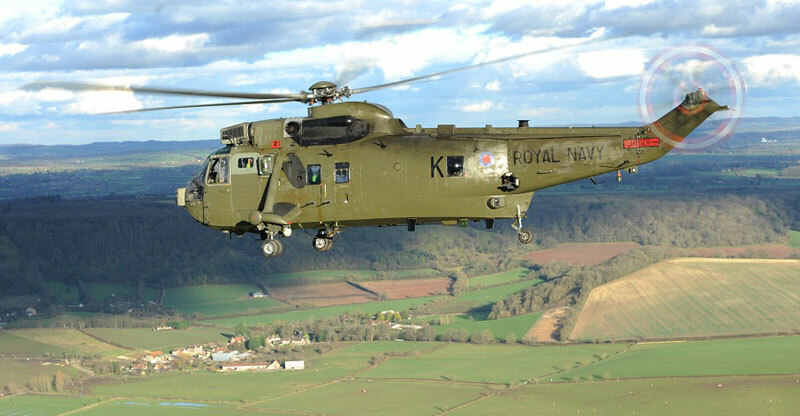 The last flying day for the Sea King is the 31st March 2016, of which by then all the crews will be fully trained on the Merlin HC3 replacement. One of the last seven is ZA298 which is planned to go into the Yeovilton Museum at the end of March. This aircraft seems unable to be destroyed as it has been shot at with 7 rounds going through the airframe in conflict in Afghanistan, where it was bought back to an operating base and repaired quickly before flown back to bastion. This one is not going down without a fight! Back to Yeovilton, after the brief by the staff and the CO we were mustered into three waves with each wave being split into two groups, Avengers 1 (ZE427) & 2 (ZG821). This was to allow air to air photos of each aircraft with the sun lighting up the aircraft beautifully, videos were also taken on wave three. After boarding the helicopter we were offered to be harnessed in so that we could take photos and video at the edge of the open door, we had a short taxi to allow what can only be described as the most graceful take-off I have ever experienced. Climbing to and then flying over Somerset at about 500 feet with the door open and turning round at Glastonbury Tor, with the Sea King flying so gracefully it seems difficult to believe that she is over 40 years old. Once back at base and after a short taxi to the apron stand, we were fortunate to be able to gather for the final photos as the sun set on the airfield and on an experience that will not be forgotten for a long time. During the week commencing 15th February 2016 the Newark Air Museum took delivered of its latest exhibit, a Lockheed TriStar Simulator at its site in eastern Nottinghamshire, close to the border with Lincolnshire. 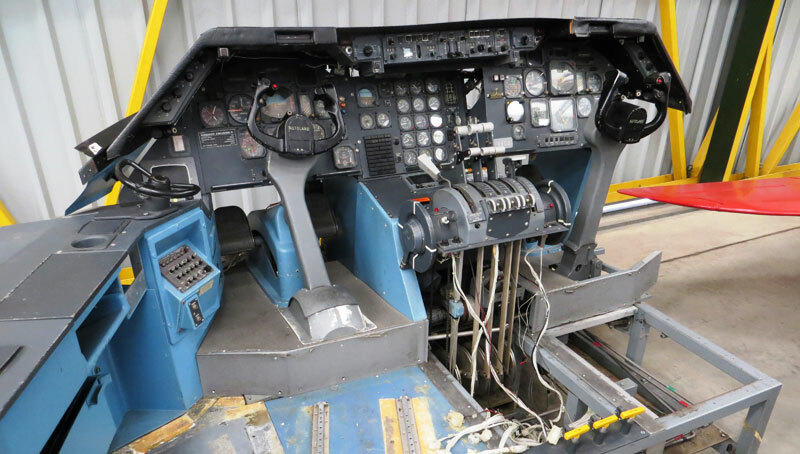 The museum was first made aware of the possible disposal of this Lockheed TriStar simulator from the Royal Air Force Museum at Hendon, back in autumn 2015. This potential acquisition was to be in the form of a gift. After gathering more details about the simulator, the museum trustees decided to register the museum’s interest in the former crew-training aid. 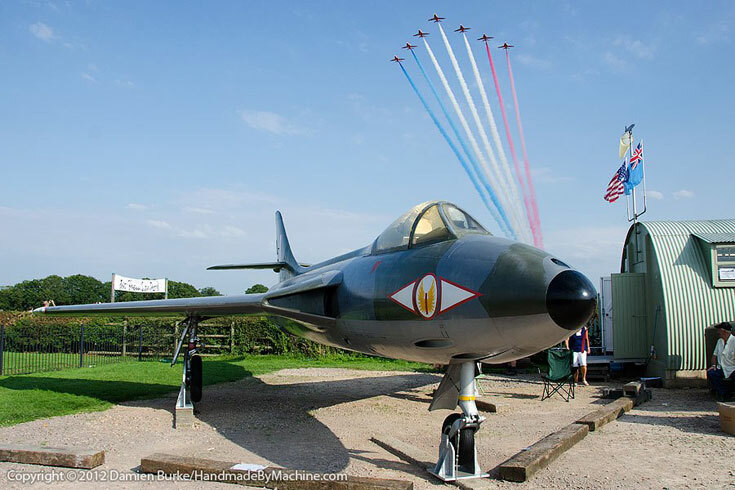 It was just before Christmas 2015 that Newark Air Museum was notified that, out of several other groups who had registered interest in the simulator, that it had been selected to receive the item. Initially it had been anticipated that the simulator would arrive in one piece, but this was not the case as the simulator had already been disassembled. An assessment of the move requirements was made and the first of several loads arrived at Newark on Monday 15th February. The TriStar simulator has been placed into temporary storage in Display Hangar 2 at the museum and is not currently on display. It is understood that the museum’s mainly volunteer workforce will start to reassemble the simulator after the Spring Indoor Aero boot sale event on 5th March. Various display locations in Display Hangar 2 are currently being evaluated and at this time it is not known to what extent the simulator will be returned to an operational condition. This latest acquisition complements the museum’s growing collection of ‘synthetic’ trainers and adds part of a notable airliner cockpit to the museum collection. The museum trustees are grateful to the RAF Museum for donating this exhibit to the Newark Air Museum. The Supermarine Spitfire, the most famous British fighter aircraft in historyfirst took to the skies on 5 March 1936 and won immortal fame throughout the summer months of 1940 by helping to defeat the German air attacks during the Battle of Britain.The Royal Air Force Museum Cosford will be marking eighty years since the first flight of the Spitfire on Saturday 5 March 2016, with a day of special talks. The talks will pay tribute to Spitfire creator RJ Mitchell CBE and Vickers Supermarine test pilot Alex Henshaw MBE and the men of the Battle of Britain. In the first talk entitled ‘R. 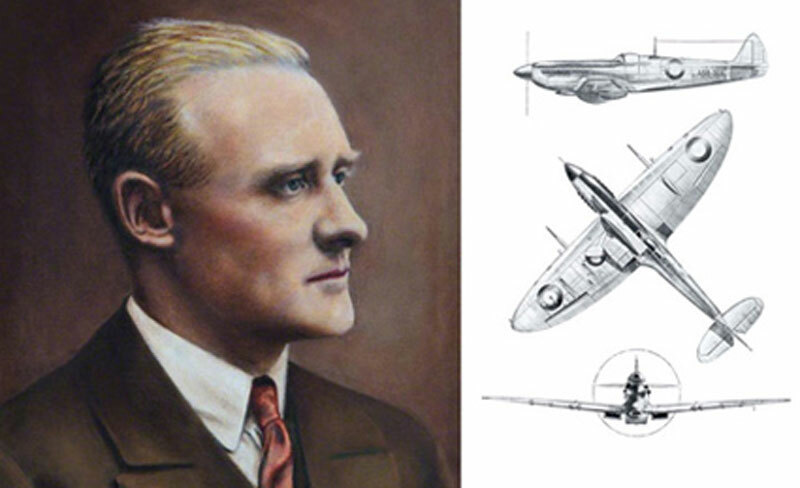 J. Mitchell CBE, the Spitfire and the Battle of Britain . . .Their Finest Hour’,Tony tells thestory of Staffordshire born R. J. Mitchell CBE, the creator of Britain’s most iconic aircraft and some of the men who flew Spitfires in the Battle of Britain. The Spitfire, an evolution from the Schneider Trophy Races, first flew in 1936, remained in production through the 1940s and in service throughout the 1950s. Hear stories from some of the men who fought the Battle of Britain, including a distinguished Luftwaffe ace in interviews recorded with Tony. The talk will commence at 11.30am lasting approximately one hour. The second talk of the day entitled ‘Alex Henshaw MBE. . .The Flight of the Mew Gull and Sigh for a Merlin’includes video footage of Alex Henshaw telling his own story. He won the King’s Cup Air Race and achieved a record-breaking solo flight from London to Cape Town and back in four and a half days with just a compass, a chronometer and a set of maps – a record unbeaten for more than 70 years. He served throughout the war as Chief Production Test Pilot for Vickers Supermarine, personally testing more than 2,000 Spitfires and the occasional Lancaster at both Southampton and Castle Bromwich (now the Jaguar factory). He finished his flying career marketing aircraft in South Africa where he flew his last epic flight. During the video footage, Alex recallsmemories of his heroic tales includingflying an aircraft down the centre of Broad Street in Birmingham when asked by the Mayor. The talk will commence at 2.15pm lasting approximately an hour and 15 minutes. The talks will be presented by Tony Edwards, a friend of Alex Henshaw. Tony has enjoyed a comprehensive career within the aerospace industry, commercially, within the Ministry of Defence and Academia. He is a keen supporter of the Royal Air Force Museum and a former Trustee. Both talks will take place in the museum’s lecture theatre inside the National Cold War Exhibition and are suitable for all ages. Don’t forget, thatof the 1,566 Spitfire I’s that were built, the RAF Museum Cosford is home to the world’s oldest surviving example of its type. Especially for this 80th anniversary event, the canopy will be opened and visitors can get an up-close view of the cockpit. The Spitfire is displayed alongside the Hurricane in the Museum’s War in the Air hangar and viewing will be available all day. The Museum is open daily from 10am and entry is FREE of charge. To book your place on the FREE talks, please visit the Museums website www.rafmuseum.org/cosford.